Have you dreamed of owning a Vitamix, but not ready to settle on a $400 Vitamix? Today, you can get a Certified Reconditioned Vitamix for only $246.75 when you use the code 07-0103-01-01 at checkout! 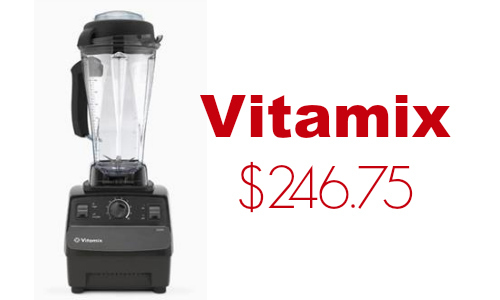 New Vitamix machines run around $449 and up, so now is a great time to buy a Vitamix. Plus, when you purchase this Vitamix, you get a 5 year warranty included. Vitamix machines are great for making pureed baby food, smoothies, dips, ice cream, soup in 7 minutes and more! Note: Label may reflect the following C-Series machines; 5200, CIA™ Professional Series®, Creations® II, Creations® GC, Professional Series® 200, Total Nutrition Center®, or TurboBlend® VS.